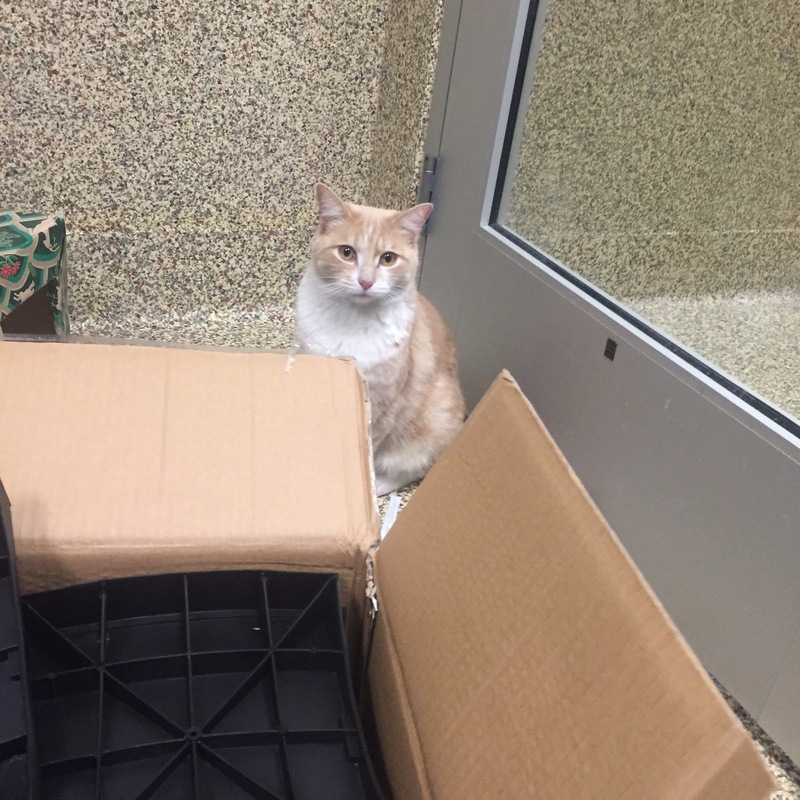 Something exciting showed up in the cattery of Great Plains SPCA today. 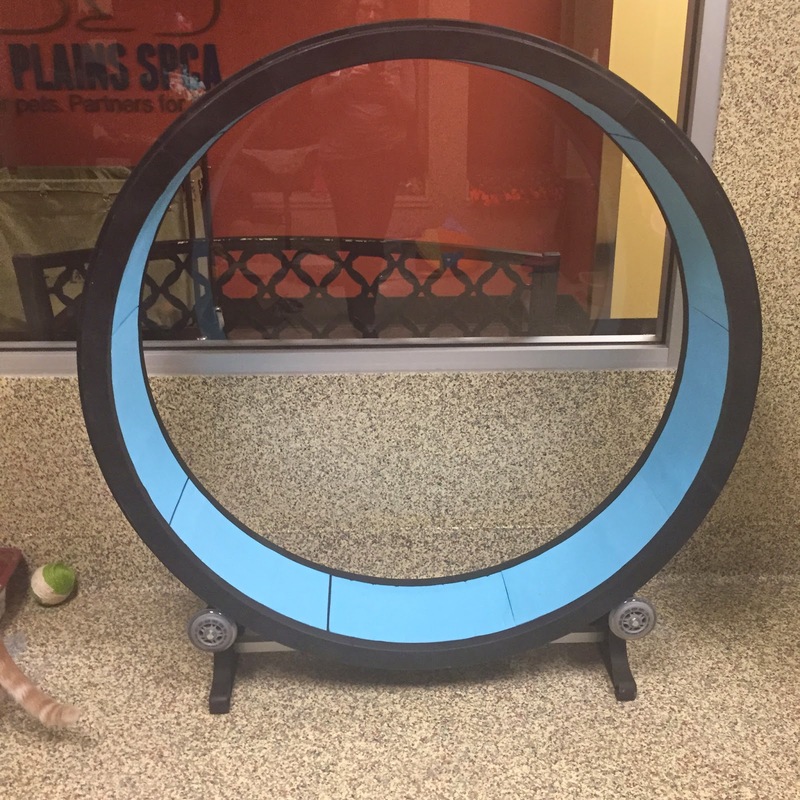 A generous volunteer donated a One Fast Cat Exercise Wheel! 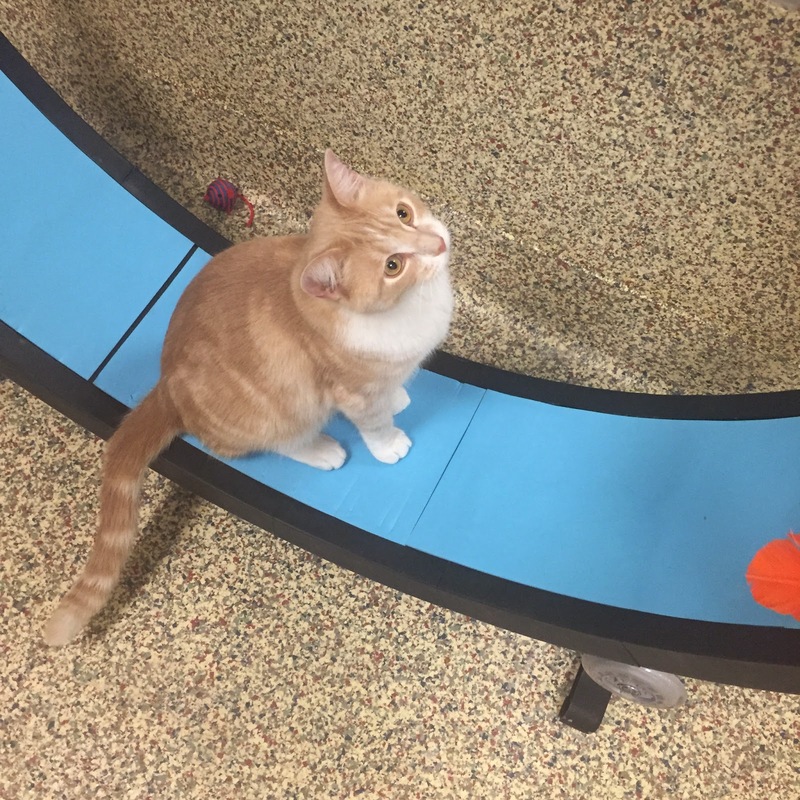 It's like hamster wheel for cats! 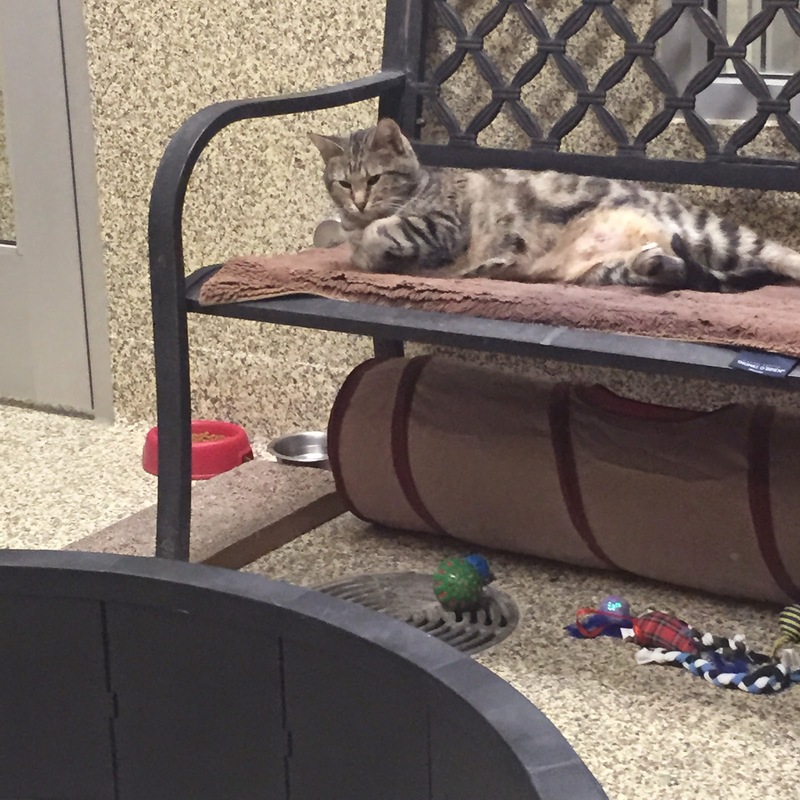 Shelter cats can easily get bored. Boredom can lead to depression. 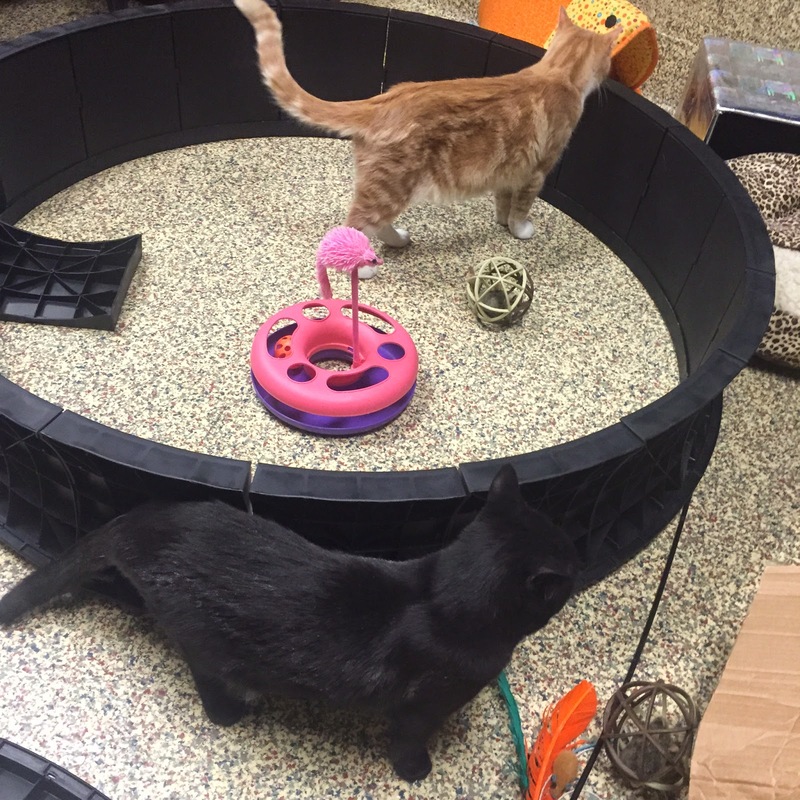 This will be a great tool to help keep the kitties stimulated and give them a little exercise. It came in a box and needed a little assembly. The instructions said the assembly was quick and easy. Rio wanted to help assemble it. 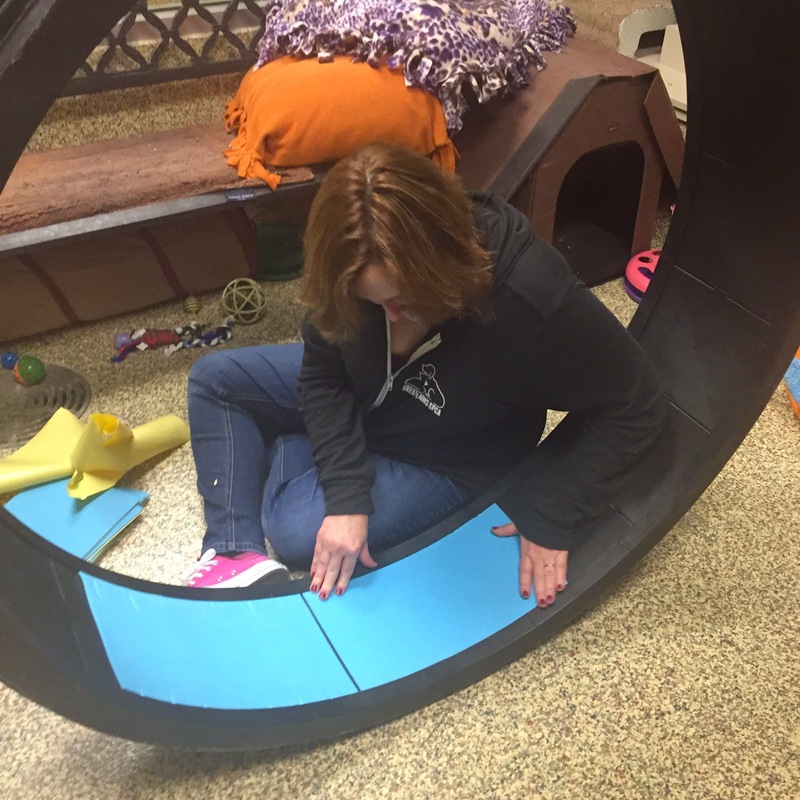 Even with Miss Tris supervising the assembly took a little longer than the 13 minutes the directions said. Rio and Bette were very interested in the construction. Ann put on the finishing touches. Mama is a weakling so she wasn't much help. They had to call for reinforcements. Luckily Ann's husband was able to help them get it all put together. Finally, they got it put together! The cats weren't sure what to do with it. Rio decided to check it out. 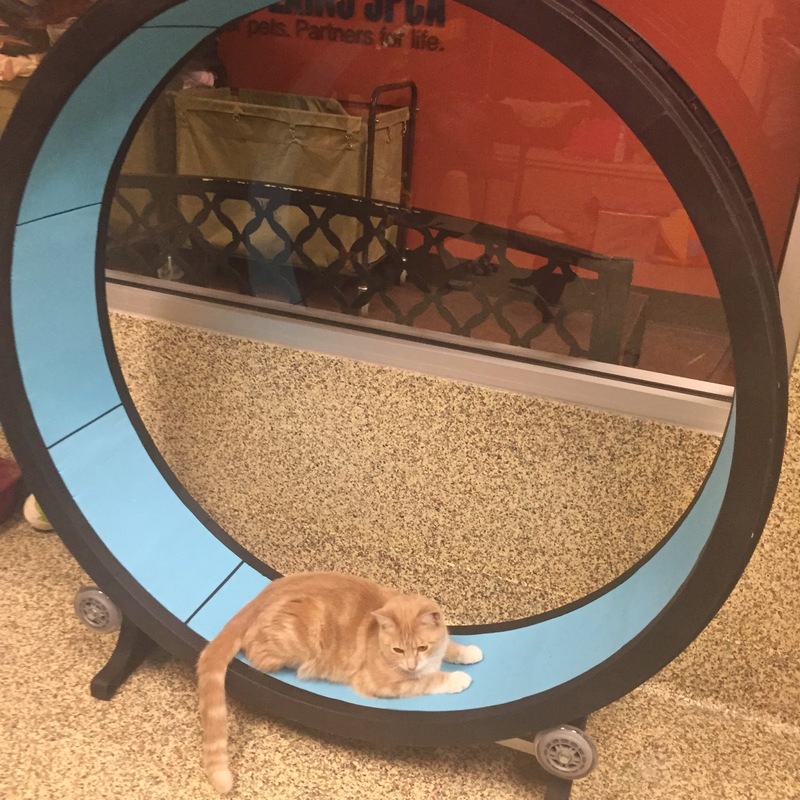 But he decided to use it as a bed rather than an exercise wheel. We'll keep you posted on how the cats do with it. 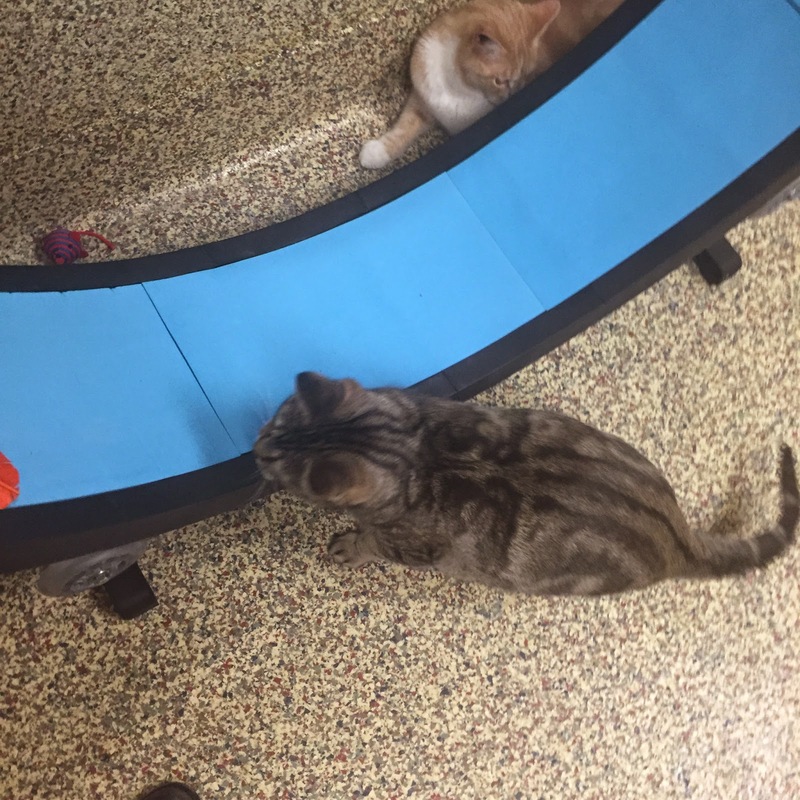 How cool that the kitties get to experiment with an exercise wheel. I hope they like it.